Spider veins are small blue or red veins located just below the outer surface of the skin. They often have a web-like appearance, hence, the term spider vein. Most spider veins have an unattractive cosmetic effect and, in some cases, may give rise to symptoms such as itching, burning, or throbbing of the legs. Veins are arranged in layers within and under the skin. The very smallest type of veins are on the surface, these veins drain into slightly larger veins, called reticular veins, which lie deeper within the skin. Faulty reticular veins often act as “feeding” veins to the smaller superficial spider veins. The most prominent reticular vein is the lateral vein of the thigh. 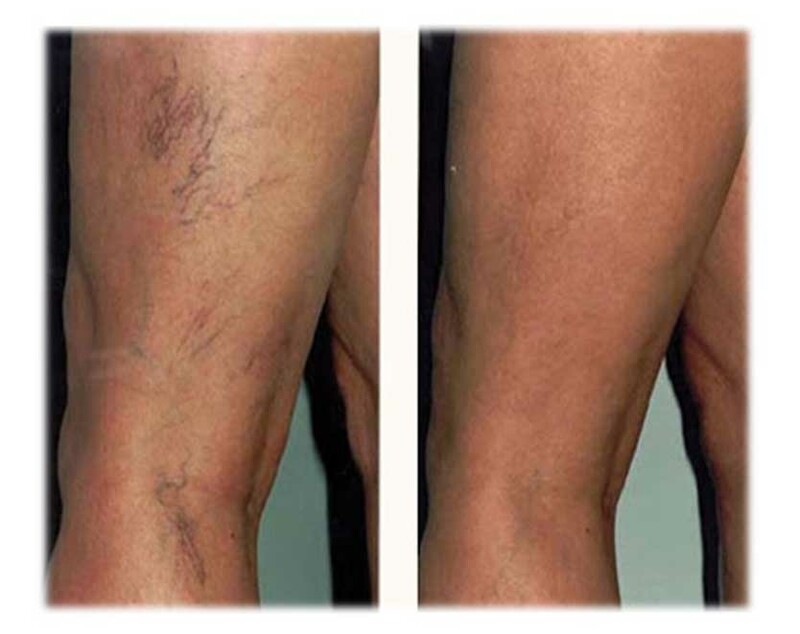 This vein is often involved in causing spider veins of the outside thigh. Treating the smaller veins on the surface, without addressing this important vein, leads to poor treatment results.